Tabletop banner stands are an ideal solution for helping you to customize and setup a small space with a full color display. With these stands, you can offer a complimentary layout that looks organized and professional, that will have people dropping by your location to see what you have to offer them. 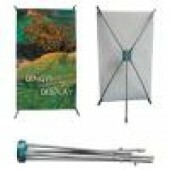 With these banners, you will find that there is more interest and respect for the products and services you are offering. In fact, with the right eye catching design and use of colors, you will be able to ensure that even from across the room, people will be interested in dropping by and talking to you about the options that you may have for them. Since Numart Display can also add in your log and brand name, this piece will be unique to you and help you to better stand out in the room and when people think back to the displays that they encountered. Since they are lightweight and easy to handle, they will also be perfect for the professional that is always on the go. Instead of having to have several team members getting together to setup a large display, one person should be able to handle the tabletop banner stands and ensure that their visual aid is ready to go in almost no time at all. Because of their small compact size, you can even use them in several different sections of the table and have each one explain a different item to the customer. That way, people can stop and look at your eye catching setup and then ask you any questions that they may have about the information that is contained in the banner. This will increase the chances of having a successful transaction during a trade show, or an employment fair. 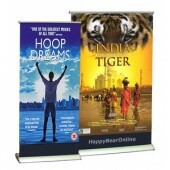 Keep in mind that these tabletop banner stands can work in settings beyond trade fairs and even recruitment fairs. You can have them in your place of business when people first walk in for a professional looking display that mentions your services. You can even use them to post random safety and health tips in schools and hospitals as a way to boost awareness. What you are going to find is that they do remain one of the best overall choices you will have. Take the time to look at the different sizes and even contact us to learn more about how these tabletop banner stands are going to benefit you and your business.